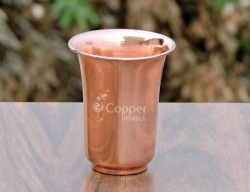 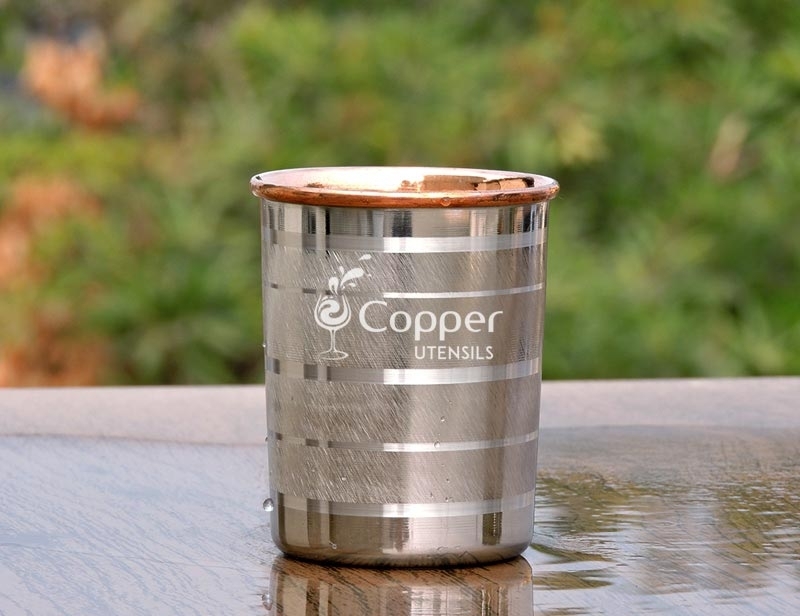 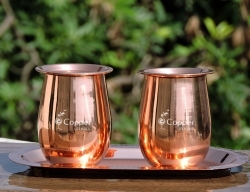 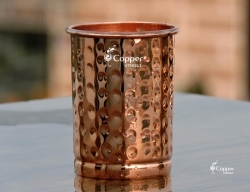 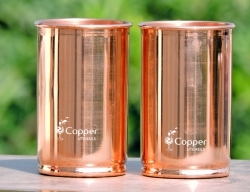 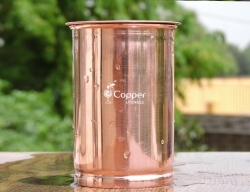 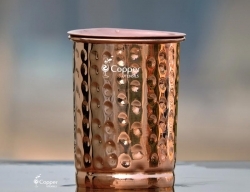 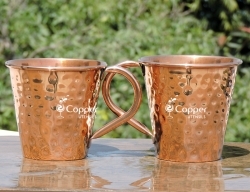 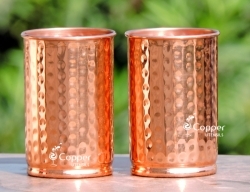 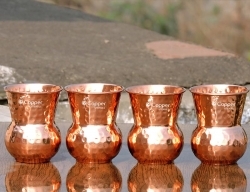 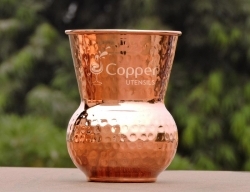 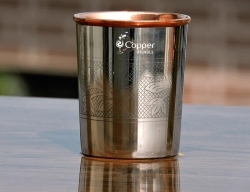 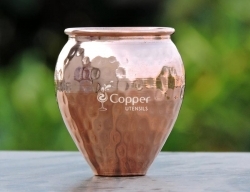 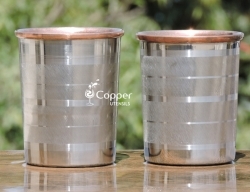 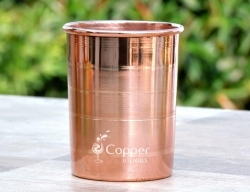 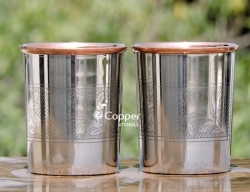 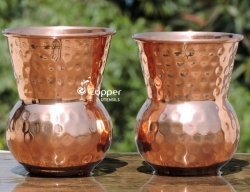 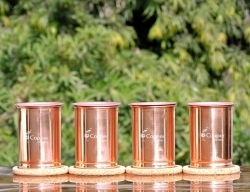 Stainless steel plated copper glass for Ayurveda benefits. 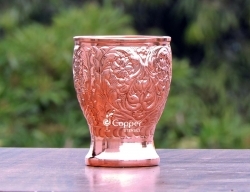 Unique ring design to add an extra layer of style. 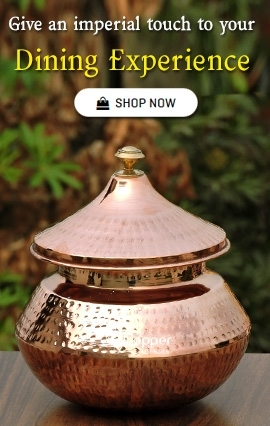 An affordable way to include Tamra Jal in your daily routine. 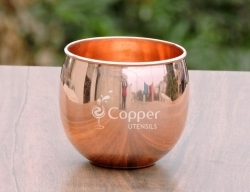 Makes for an excellent gifting option. 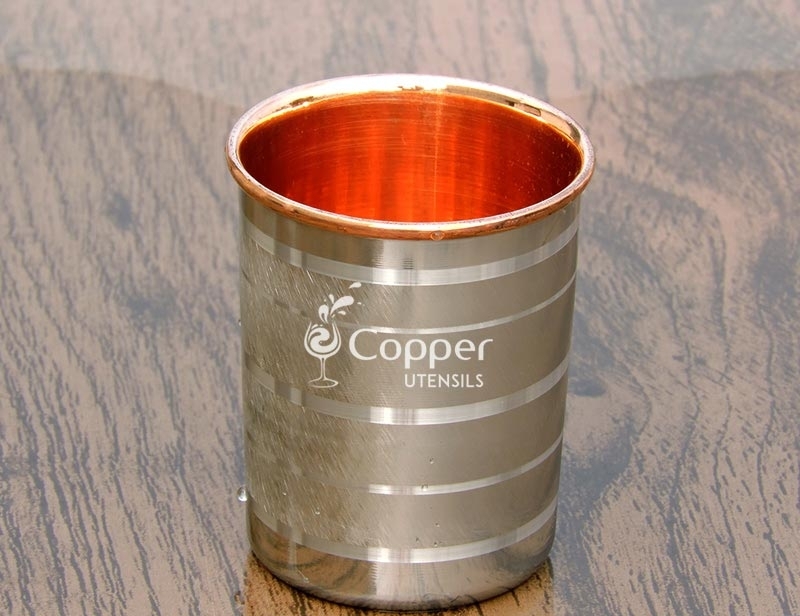 Comes with a cleaning instruction manual. 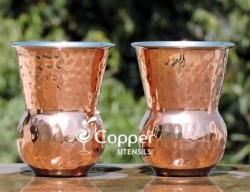 Bring style and health to your life with our copper and steel glass. 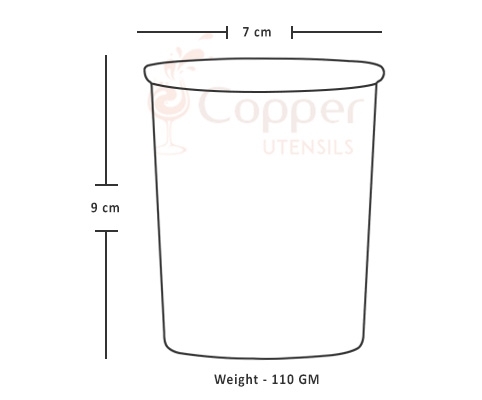 This glass is specifically designed to reap the benefits of tamara jal without worrying about the cumbersome cleaning process. 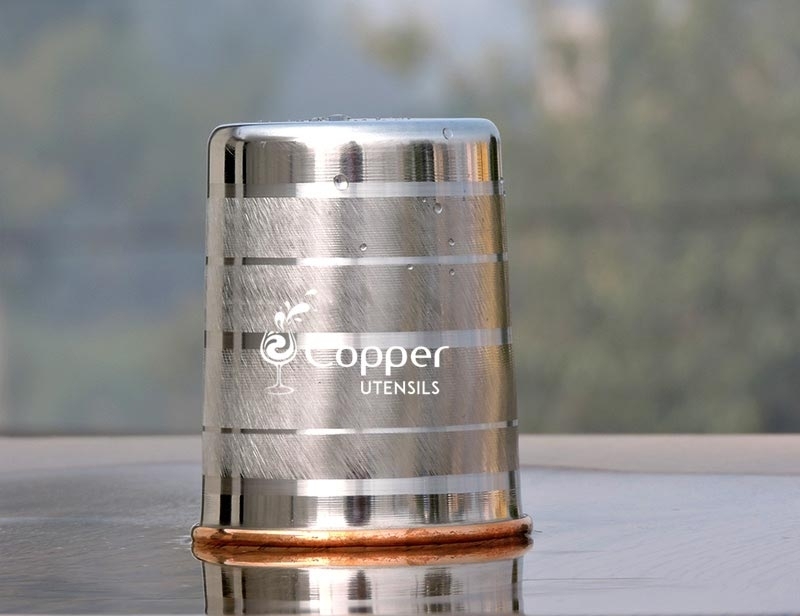 The outer steel body is not only super easy to clean but also looks super classy. 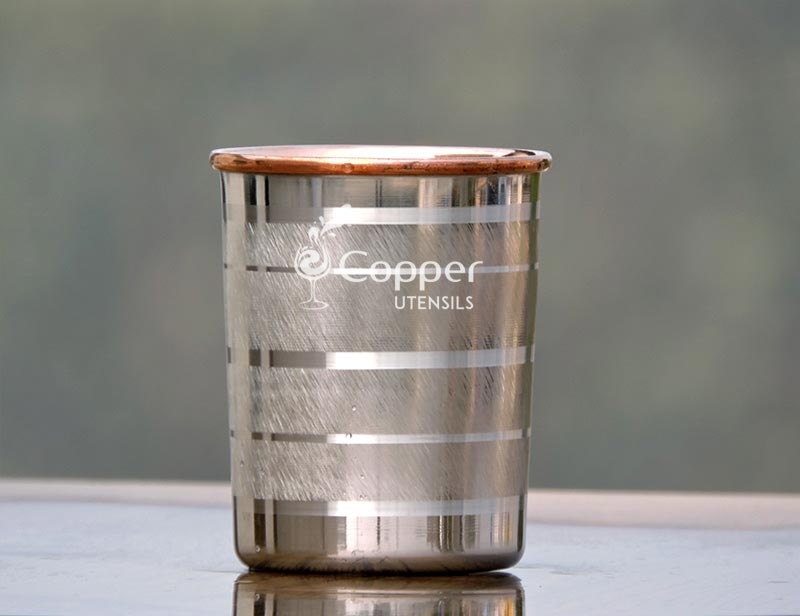 The matte and shiny pattern on the outside is nothing you would find anywhere else. 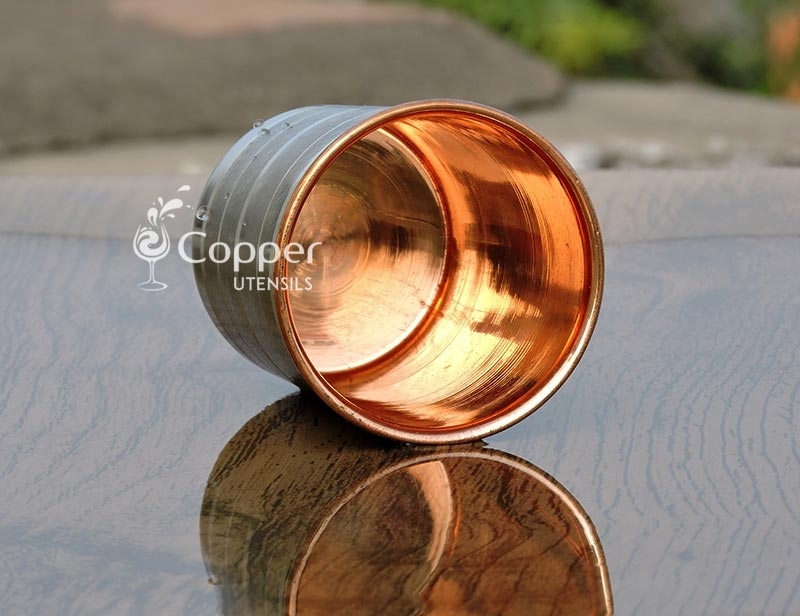 To maintain the shine of the product you can simply follow the instruction leaflet provided with the tumbler. 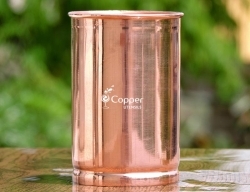 Do not rub the surface of the tumbler with an abrasive scrubber as it may damage the surface of the product. 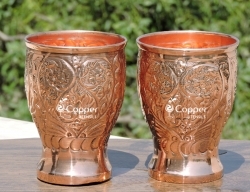 The SS outer provides better heat insulation compared to the copper-only glasses that are hard to grip with warm liquids. 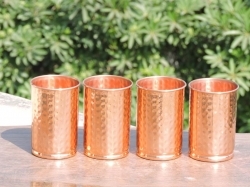 Easy to clean as well.